Scotland is always worth a visit, even if it is only for a short time. So on Friday evening a week ago, I went to the airport to visit Glasgow. Reason for the trip was the Scotch Lamb PGI Street Food Festival, organised by Quality Meat Scotland for food, mummy and lifestyle bloggers from UK. Four other European bloggers were also invited to this meeting, which included me. 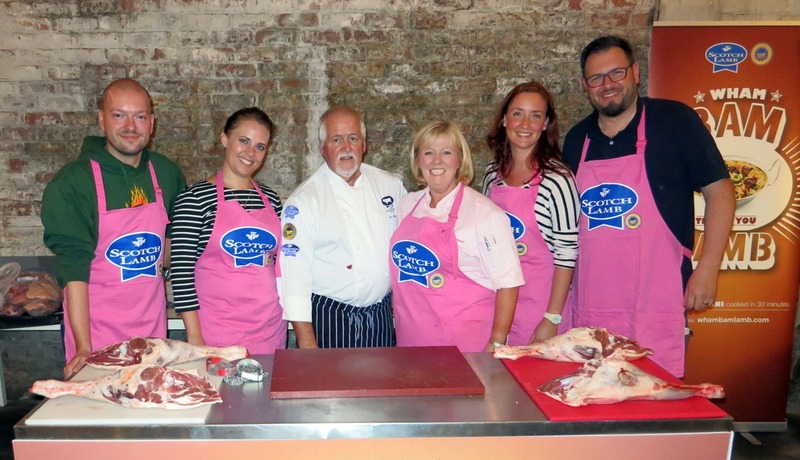 Anne-Christine of Valdemarsro from Denmark, Claire of Leef Bewist Gezond from the Netherlands and Markus of 0815BBQ from Germany were also present. On Saturday morning right after breakfast in the Arthouse Hotel we went to visit Shantron Farm in Luss at Loch Lomond, about which I will write a separate article shortly. 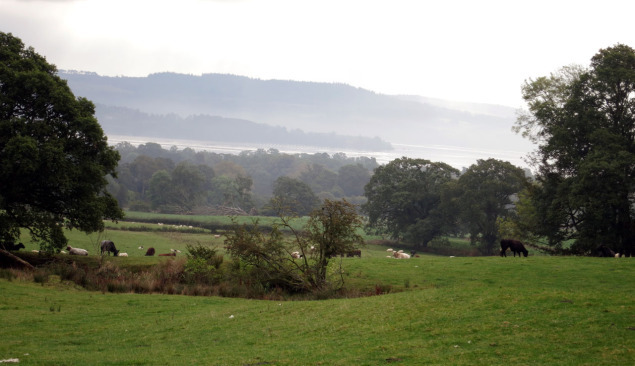 View of Loch Lomond from the Shantron farm. After visiting the farm, we drove to SWG3, an event venue in Glasgow, where the bloggers meeting took place. 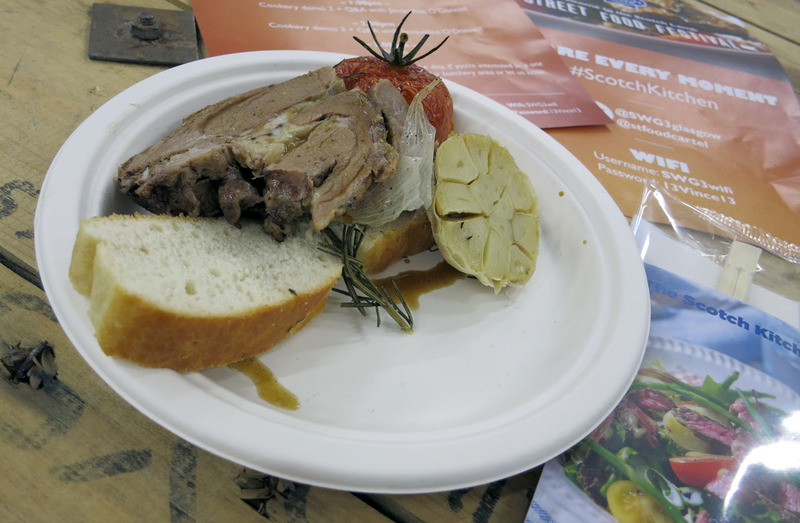 The Street Food Festival had the motto “Wham Bam Thank You Lamb“, which was supposed to show and highlight the versatility of lamb, as well as the quality characteristics of Scotch Lamb g.g.A. which, in my opinion, was also fulfilled. Quality Meat Scotland was supported by four of the most popular street kitchens of the Street Food Cartel from Glasgow. So La Ti Dough served a lamb shoulder, slowly roasted in a wood stove, with vine tomatoes, rosemary, garlic and focaccia. 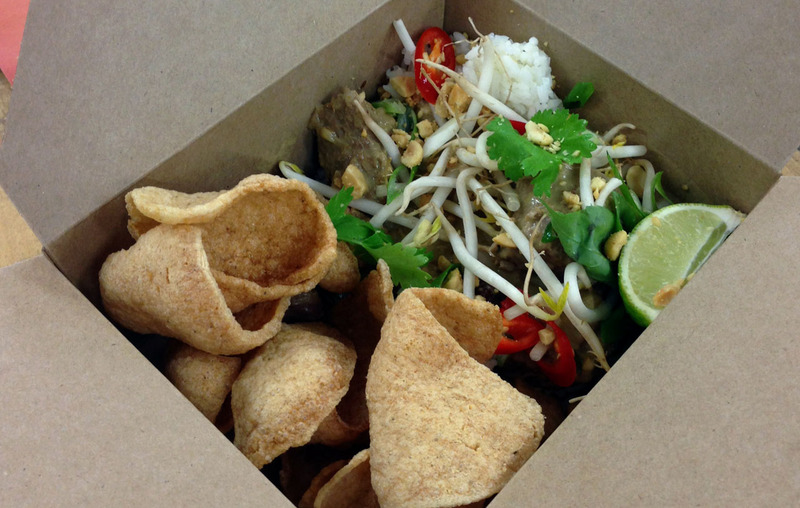 Pad BKK served us with a massamam curry of lamb with jasmine rice, prawn bisque, crispy shallots, peanuts and herbs. 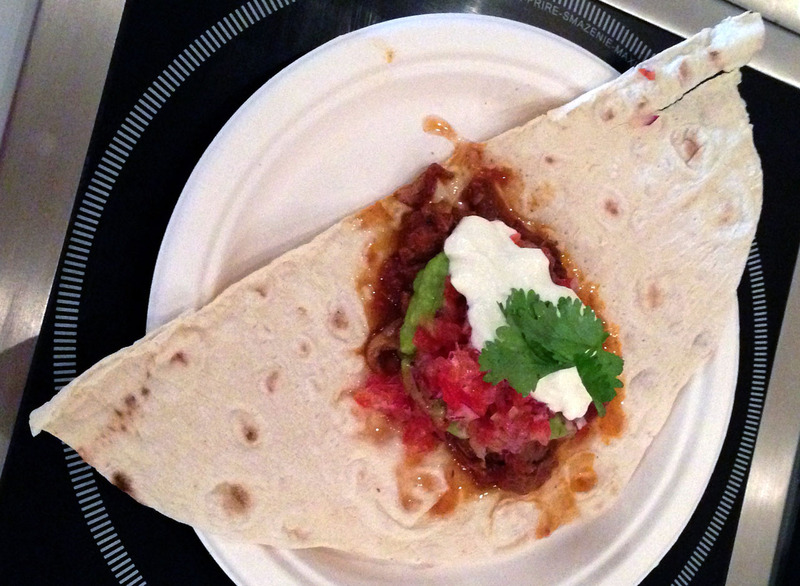 The Antojito Cantina served barbacoa lamb in fine tacos with sour cream, guacamole and pico di gallo. 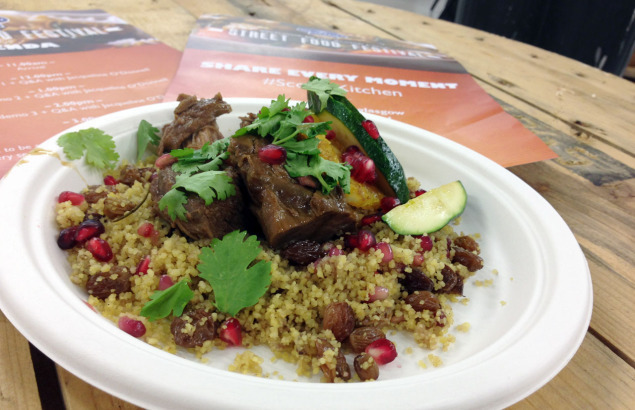 In the Scoop Silver Bullet there was stewed neck fillet of lamb, spiced with ras el hanout, along with pomegranate and sultanas couscous. What can I say; the food was simply very good in taste and quality. I would have loved to be there just to eat but there were still two more events in the program, which i did not want to miss. 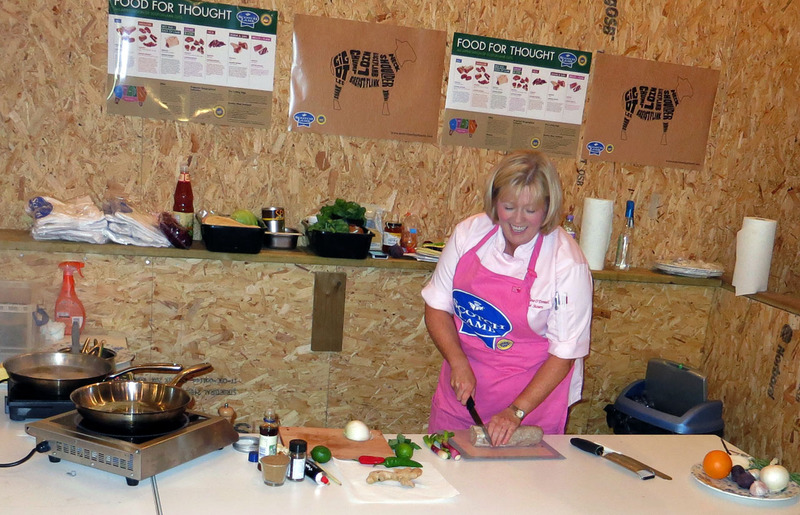 Jacqueline O’Donnell, famous for the BBC cooking show Great British Menu, demonstrated her cooking skills live, gave tips and answered any questions that were asked. 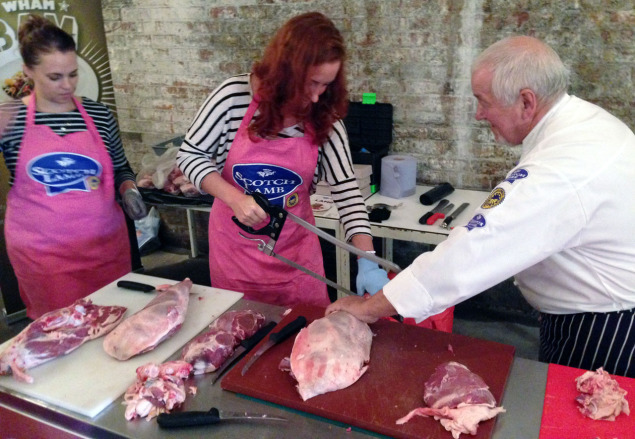 My personal highlight was the practical session with Master Butcher Viv Harvey, who showed us how to properly cut a leg of lamb. Viv participated in the Jack Daniel’s World Championship Invitational Barbecue and with his two colleagues in 2007, he won the title “Best International Team” in Lynchburg, Tennessee. And then the official part was also over. On the day I saw a lot of interesting things and we were brought closer to the complete cycle of animal breeding, from processing to the preparation of the lamb by Scotch Lamb g.g.A. As I give a lot of value to high quality ingredients while eating, you can surely understand that I was very impressed with the event and its delicious food. On the website Scotch Beef and Lamb you can also find information on the meat of Scotch Beef g.g.A., which has the same quality as the lamb. After the event, we were left with little time to explore the city on our own before we met for dinner and visited the Meat Bar. In the restaurant-bar, where even fleshy cocktails were being served, I gave myself up to the savoury cucumber beer “Cool as Cucumber” of the Fyne Ales Brewery and the Wild Beer Company. It has a strange name, but has a delicious taste and is worth trying once. My meal started with beef tartare, which was followed by an original burger with blue cheese, candied bacon and pulled pork and was accompanied by chili cheese fries. One can imagine that I was no longer able to have a dessert after that meal. The other participants couldn’t either. My meal was excellent, and I can only repeat, try the Cucumber-beer! The next morning there was a Scottish breakfast, followed by the return journey as listed on the program. All of my pictures during my trip to Scotch Lamb PGI Street Food Festival can be found in the related album on Flickr. I would like to thank Quality Meat Scotland, as well as Peter Toholt from the office in Germany for the invitation to Glasgow and the great support provided during the event. It was a real pleasure for me.